Car accidents are highly disruptive to one’s life. You were likely driving in your vehicle, going about your business, when you were hit by another driver due to no fault of your own. You may be missing time from work. You may have injuries which are keeping you from fully enjoying life. You are likely incurring medical bills and your personal relationships may be suffering as a result. Tom Kapstrom is a Springfield Missouri car accident lawyer who understands that being in a wreck causes more turmoil than most people realize. If you live in Southwest Missouri then contact Springfield Injury Law today for a free initial case evaluation. Fortunately, Missouri offers more protection than many other states for the victims of these incidents. We are a “comparative” fault state. This means that you may possibly be compensated for your injuries even if you were partially to blame. Our state, unlike some others, does not force the injured into arbitration programs as a way of preventing them from seeking recourse. In other words, Missouri recognizes that it is only fair for those who have been harmed to be compensated. 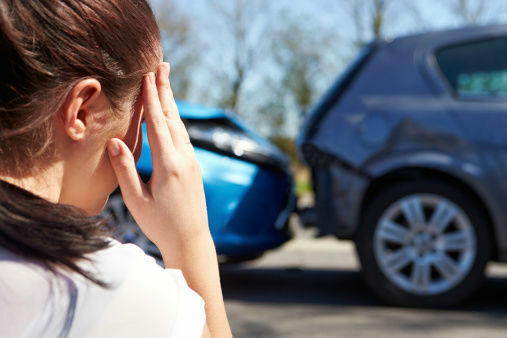 Springfield Missouri Car Accident Lawyer Tom Kapstrom works to ensure that people receive the compensation they deserve after an auto accident. Tom has a deep understanding of the process you are facing which he gained through working on the insurance defense side of injury cases. Once retained, Tom will immediately begin obtaining your medical records, will obtain the police reports, and will quickly contact the at-fault driver’s insurance company to begin your claim. He will not hesitate to file a negligence case on your behalf should one be required. Once a case is filed he will use discovery (the process by which information is gained from the other side) to establish your case and to prove the value of your injuries at trial. You have been wronged and are entitled to compensation. Contact our Springfield attorney today. Tom provides a high level of service that many attorneys offer but do not deliver. He handles all matters in his office personally, which means your case will be handled by your attorney and not a paralegal. He strives to return all phone calls within 24 hours and often provides clients with his cell phone number. He understands that people’s lives are often in upheaval after an accident. This is why, when necessary, he will meet with clients after normal business hours or travel to the homes of those that are too injured to visit his office. He provides his clients with regular updates as to the status of their cases so that they always understand where they are in the process. Do not trust your financial and physical well-being to any car accident lawyer. Tom’s Springfield, Missouri personal injury law firm is ready to assist you. He also services Greene, Polk, Christian, Webster, and Lawrence Counties. Call our office today for a free initial assessment.